Last year at the Citrix Solutions Conference in Europe, Brad Pedersen gave a presentation about “The User Experience“. If look at the slides, you will notice that the first several slides cover early Citrix product history. From experience, this kind of background is fairly rare and obviously important to people like Brad since he is the longest term Citrix employee. 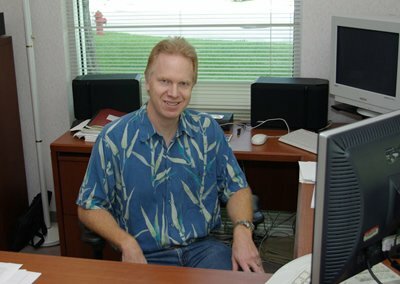 Brad started in 1989 as one of the founding engineers. Brad and I share a desire to keep the history alive and to remember where Citrix came from. I last saw him in Sydney during a Technical Interchange in 2005. We went on a boat cruise around the harbor with the rest of the team. Brad was busy taking pictures of Sydney as the sun was going down. I saw a copy of the pictures later and was very impressed. It was a very fun to see him again. Brad has a certain insight that you just have to respect. It is good to see that he has stayed with Citrix this whole time. The engineering wide TI in Florida that we went to was in 05 – I think the (Advanced Products) one where Brad came down under was in 06. You are correct Donovan. I had the wrong year. It was really 2006 when we got together in Sydney.